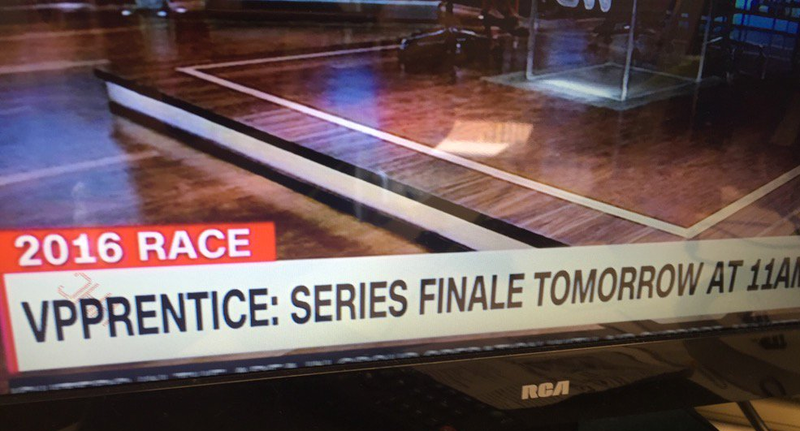 Is this CNN Donald Trump lower third clever or too cutesy? CNN decided to have a little fun with the news that presumptive Republican presidential candidate Donald Trump is set to announce his running mate. Due to his presidential run, he is no longer hosting the show. Instead, former governor of California and actor Arnold Schwarzenegger is slated to take over “Celebrity Apprentice” when it returns this fall. Is this lower third too cutesy or clever? Share your thoughts in the comments.